Don’t put up with pests a moment longer! Call us for immediate pest control from Helensburgh to Nowra, South/West Sydney, the Southern Highlands and the Illawarra. Call 0430 634 503 for your free quote today! From termite inspections to bird deterrents, Miller’s offer a complete range of pest management solutions. Our pest controllers are experts in the extermination of termites, cockroaches, spiders and bedbugs. We can also get rid of rodents, birds, and other common nuisances. With over 30 years’ industry experience, we’ll keep your property free from unwanted creepy crawlies! We deliver quality pest control services on time, every time for an honest dollar! If we keep you waiting, then we refund you 20% of the price. We thrive on keeping all our customers happy, so your satisfaction is our priority! Pest Control: Is your home being overrun? We provide treatments for the extermination or removal of termites (white ants), cockroaches, bed bugs, spiders, rodents and more. Pest Prevention: Our advanced control methods will help you keep pests out, so re-infestation can’t occur. Pest Inspections: Are you considering buying a property? Be confident in your decision with a pre-purchase pest inspection! A termite inspection is especially important for any property purchase. 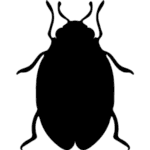 Pest Identification: Not sure which critter is causing you trouble? Our pest controllers can help you identify problem critters, and provide the best solutions for removal. Commercial Pest Management: Not just domestic! We also provide outstanding pest control for commercial properties. From warehouses to offices to hotels, we’ll keep your unwanted guests out! There’s no job too big or small for your local bug hero. We’re standing by to handle all your pest problems. Click below to learn how to identify and prevent various common pests. You can also find out about treatment methods we use. And, once your pests are removed, our handy prevention tips will help you keep them away! Australia has many species of termite ready to make a meal of your building. Early detection is the most important factor in preventing potential damage. If you suspect that termites may be present in your building, it’s important to schedule an inspection as soon as possible. A termite inspection is also a critical step in buying or selling a property – you don’t want to find out that your dream home is hiding a nasty surprise! Miller’s are experts in termite detection and prevention. Call now for an obligation-free quote, or click here to learn more about termite building inspections. Even if your building already has a termite presence, it’s not too late to act. In addition, arranging termite control immediately will mitigate the amount of damage they can do. Acting quickly will save you as much money and heartache as possible. Don’t wait to treat termites! The problem will only get worse, the longer they remain. Millers has years of experience in handling established and developing termite colonies. We also understand how building ventilation relates to termites, and can advise you on the installation of active or passive sub-floor ventilation. 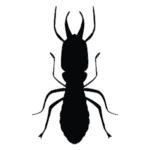 Call today for the most effective services available for termite extermination and management, or read more about Miller’s termite control. Prevention is always better than cure. For a reliable way to prevent termites over the course of your property’s life, ask about our advanced termite reticulation system. Designed with new buildings in mind, the system creates a permanent means for delivering termiticide around the property. This is an ideal solution for high-risk areas, where repeated treatments will be necessary over the life of your home. Find out more about termite control methods. Lets’ face it – most of us don’t like sharing our houses with bugs! Household insects are great at triggering our allergies, causing physical irritation or distress, and contaminating our living and eating areas. Whether it’s cockroaches, fleas, bed bugs, ants or any number of other critters, we’re here to help. If you’re being overrun by creepy crawlies of any variety, give Millers a call – or click for details about our insect control services. For many people, spiders are at the very top of their phobias list. And with several famous spiders to our name, Australia has plenty to go around! While many household spiders are harmless, others can be quite dangerous, especially to young children, elderly people, and pets. So, if you can’t stand sharing with spiders, let Millers take care of them. We have the experience to know which solutions get effective results, fast. 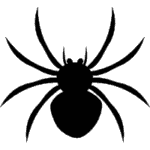 Contact us today, or click here to learn about our spider control. Cute to some, distressing to others. There’s no denying that rats and mice can make your home very unpleasant when they have the run of the place. If you’re sick of sharing your home with fuzzy freeloaders, we’re here to help. 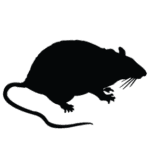 Contact Millers today for a free quote, or read more info on Miller’s rodent control. Many birds are welcome visitors to your garden, but when they take over your roof it’s another story. In addition to creating a lot of noise and mess, birds can spread a variety of diseases and parasites when they infest human spaces. Birds who interact with humans often can also become aggressive, especially where food is concerned. They can also drive out Australian native species in the process. 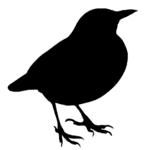 We offer a variety of humane but effective bird deterrents, to discourage unwanted birds from colonising your property. Our methods include netting, wires and other deterrents that have been proven effective over our years of experience. Click for details about bird deterrent methods. Although they aren’t a pest you want to exterminate, possums in the roof can still be a major headache. Because they are native Aussie animals, possums are a protected species, so you can’t just go trapping and dumping them. However, there’s no denying that they can be very noisy and disruptive inside the house! To evict a possum, your best bet is to provide a more appealing home elsewhere on the property. A “possum house” placed in a tree, or mounted on a pole if no trees are available, is a great way to coax out your hairy tenant. Call us to provide and install a possum house, or to get advice on making your own. You can also visit the NSW OEH website to learn more about possum catch & release. Australian bats are unlikely to enter your house, but the backyard is another matter! Fig trees and palm trees tend to attract fruit bats (flying foxes) for extended periods. Aussie bats aren’t dangerous animals, but they can make an awful racket while you’re trying to sleep, so it’s easy to understand why they might be unwelcome. The most reliable way to deter bats from spending time on your property is to remove their food source. Therefore, if you get rid of any fruit growing in your yard’s trees, you should see your bat problem dwindle. A tree lopping service can safely remove fruit that’s too hard to reach. Most snakes who find their way into human households are harmless explorers. However, as Australia does have numerous highly venomous snakes, it’s always best to avoid contact and leave removal to a professional handler. If you find a snake indoors, please keep all people and pets away from it. Then, contact WIRES to arrange safe removal. Get your no-obligation quote now! Call Wollongong’s bug hero on (02) 4276 4574 or 0430 634 503. All our pest treatments and chemical sprays are child and pet-friendly. However, if you’re concerned about environmental impact, we also offer eco-friendly solutions like the Exterra Termite Interception and Baiting System. Exterra is a truly safe and environmentally friendly way to eliminate termites. Stations lure termites with natural eucalypt timber, using bait that’s less toxic than table salt. Termites then carry bait back to their nest, so the entire colony is exterminated. With our green solutions, you can relax knowing you have protected your family, your pets, and the environment! MPC is a family-owned business. We have over 30 years of experience servicing the Illawarra and surrounds. Steve Miller has worked in pest control for 28 years, his father for 30 years, and brother at 24 years and counting. We have the expertise, so you know you can trust Miller’s to be your local bug hero! We understand that your time is valuable, so we provide our ‘on time, every time‘ guarantee. There’s no waiting around for a lazy contractor! If we run late and don’t notify you ASAP, then we’ll provide a 20% refund of your service price. For termite inspections, cockroach control, rodent control and more, you won’t find a more reliable pest management service than Millers! We operate out of Port Kembla, allowing us easy access to all suburbs surrounding Wollongong and Shellharbour. Our pest control service areas also include South/West Sydney, Helensburgh to Jervis Bay and the Southern Highlands. Get a free quote today! Call Steve Miller on 0430 634 503 for effective pest control in Wollongong and the surrounding areas. ...termites have a unique smell? We'll help you learn how to identify problem pests. ...and offer an effective enviro-friendly solution. ...servicing the Illawarra and surrounds for 18 years. We pride ourselves on our punctuality.